Back in the days of flip phones and pagers, I found myself an enthusiastic 18-year-old “man-boy” with my first training credential in hand. I had just undergone my initial formal learning experience that supported my own experience of training as an athlete. I subsequently became subject to all of the common rhetoric associated with becoming a training professional. Being young and daring (probably more so stupid and naïve) I decided to provide a very different and novel service to make me stand out in the market place. Maybe this desire of mine came from one of the greatest influences on my developmental perceptions. 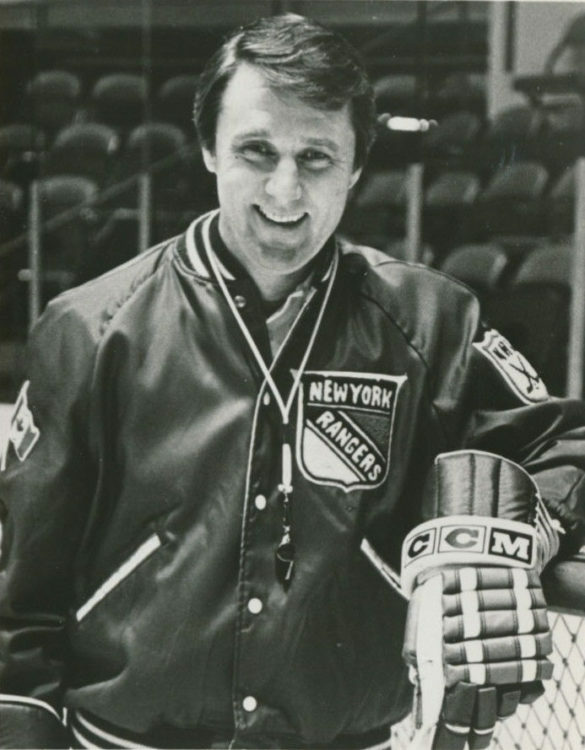 In my early teens, I had the honor and privilege of working as a New York Rangers (NHL) practice assistant to one of the greatest and most legendary hockey coaches on the planet, Herb Brooks. For those who may not be hockey aficionados, Herb was the head coach of the gold medal-winning U.S. Olympic hockey team at Lake Placid in 1980. Herb was a generally reserved, yet at times fiery, coach who never spoke purely for the sense of expelling carbon dioxide; his words always held a purpose. To this day, I don’t believe I’ve ever met anyone quite as passionate about their craft. Most don’t know that Herb was truly accomplished and possessed quite a methodical system as it pertained to strength and conditioning. Herb was also fascinated with Russian training systems. Therefore, through Herb’s inspiration and influence, I too became fascinated with Russian training systems. Fast forward; there I was, “years post-Herb,” observing most around me moving through the “exercise” of competing for business in the generalized aesthetic fitness market. That’s when I decided to run with Herb’s previous inspiration and provide a more novel fitness and athletic development service to the market. I’d focus on the things that every athlete (and person) wanted like; speed, strength, power, agility, balance, stability, dynamic stability, multi-planar movement and the gambit. All this, while also offering some functional development (that one might not be completely aware of) for the eventual culmination and optimization of Dynamic Capacity. Let me clarify . . . Dynamic Capacity encompasses the overall ability to effectively apply, manage and maximize the aforesaid underlying functional performance elements in order to efficiently perform activity at desired speeds. It is the sum of all parts. In other words; Doing Sport, Work or Life in real-time motion, and doing it really well. 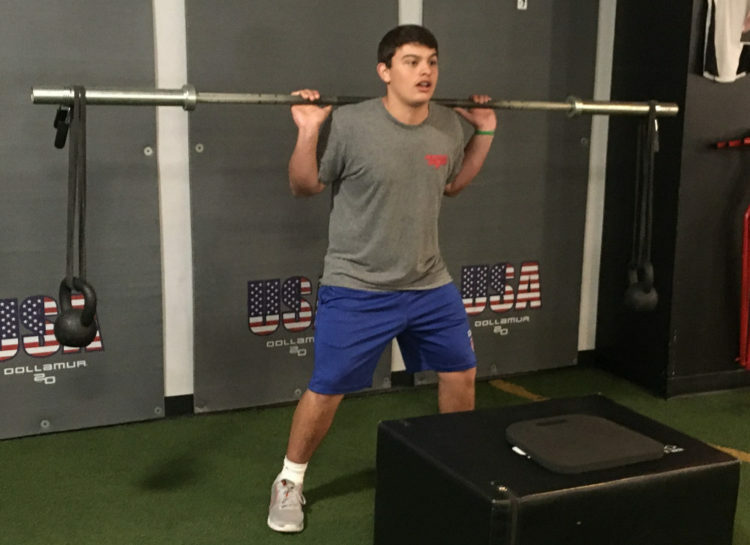 Dynamic Stability is a necessary, underlying functional performance element for Dynamic Capacity, yet remains a separate training component that should focus upon stability in-and-through range of motion and the various planes of movement. It is part of the Dynamic Capacity equation. In other words; it is one of the essential pre-requisites to Dynamic Capacity, much like speed, strength, power, balance, agility, etc. With the knowledge that stability is the precursor, I decided that I was going to start playing with oscillation and amplitude training methods in order to develop all of the components required for the ultimate culmination of Dynamic Capacity. Surely, I would want to begin by building biomechanical command. What signature progressions might I devise to develop these ideas? Now don’t get me wrong; I did have my regular fitness clients and they paid very well, but I made the decision to veer towards athletic development, and some of the philosophies I developed during my own training and exposure to Herb Brooks. 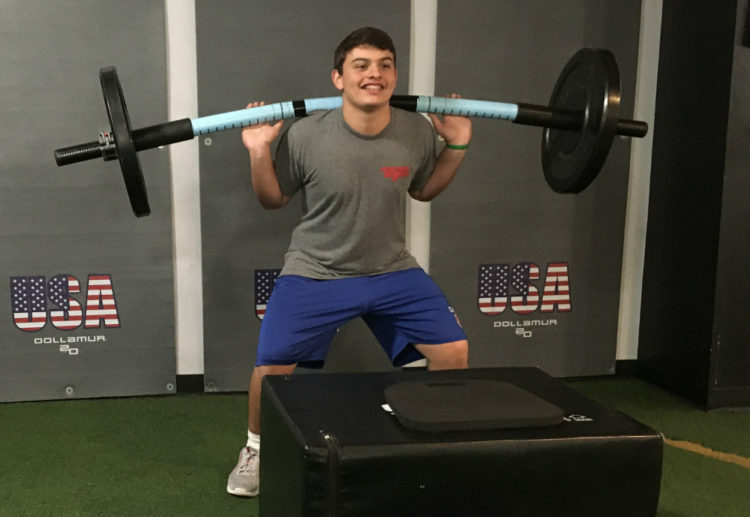 I had heard mythological stories of mammoth Russian athletes performing back squats on vibration plates, so that sounded like as good a starting point as any. Lacking the funds to score whatever version of a vibration plate that may have existed, I set out on a quest for the next best (and free) thing. I began to “pillage” gymnastic centers for decommissioned spring platforms, and modified them to be completely horizontal. I utilized old motor vehicle springs, cutting them down and fashioning the platform to be stable enough for the athletes I coached, yet reactive enough to provide them with a particular degree of challenge while training. I didn’t quite get the magnitude of biomechanical reactivity and stability requirement I was attempting to achieve, so I pushed the envelope a bit, and increased the stability demand by adding the element of amplitude in addition to the oscillation training component. My hope was for better and varying degrees of momentary oscillation and amplitude production as result. Maybe my lack of mechanical experience didn’t yield the most efficiently “tuned” spring platforms either. I liked what I was seeing, especially the development of some really big, powerful, fast, agile and dynamically stable athletes, which was quite rewarding. At the same time, I was kind of segregating myself from the main stream . . . not the greatest thing to do as a newbie. Long story short, I was ostracized for quite some time, despite the obvious efficacy of the methods. In attempting to peddle the methods to some teams and athletes, I was met mostly with chuckles, belly laughs, sneers, jeers and the occasional slamming door. However, I decided to maintain the course and further develop the work. 5) The methods were in fact; not applicable to everyone, and highly dependent upon developmental junctures. I was still hell-bent on finding a way to make this happen for everyone. As time passed, the inevitable safety concerns remained. Because of the high level of operating capability required, the application and training concepts could not be adapted and utilized for “the masses” strictly through the use of the training equipment and platforms readily available to our industry at the time (i.e. rigid barbells and Band Suspended Resistance.) Further, this didn’t even include the ideas pertaining to return-to-work and return-to-play programs. That’s the background. I just wanted you to fully appreciate the notion of developing general stability and dynamic stability as a whole for the eventual culmination of Dynamic Capacity. Now, let’s examine some of training platforms out there. The pros and cons here, are strictly based on my own experience, knowledge and opinion . . . as well as the obvious. Allows for said biomechanical testing observations because of the “live weight” presented by the Tsunami Bar. From my experience with all of the above platforms as it pertains to strength, power, speed, agility, stability, plyometrics, proprioception, etc., I have found the flexible barbell (Tsunami Bar©, in my case) to be far safer, superior and application-agile, offering improved Rate of Force Development (RFD), increasing maximal force, control and/or elimination of Force Dissipation (FD), optimization of inter and intramuscular coordination, energy system and metabolic efficiency and of course Dynamic Capacity. This works for me. 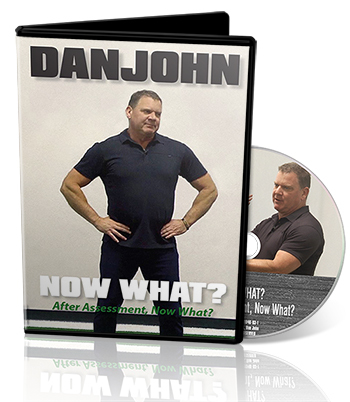 Find what works for you. I hope that my process and the concepts presented can be of value and that you leave with the following takeaway: when making your final training peripherals decisions consider safety, portability, logistics, programming agility, orientation requirement, supervision requirement, and of course return on investment (ROI). I hope that I’ve helped provoke your thoughts as you check those boxes. If you believe something will work, keep searching to find a means that will either support or disprove your vision. In closing, I remind you that no matter what you endeavor to achieve, all goals require persistent, diligent effort – a.k.a. Hard Work. Always remain focused and committed to your objective because Greatness is forged, not fabricated©. 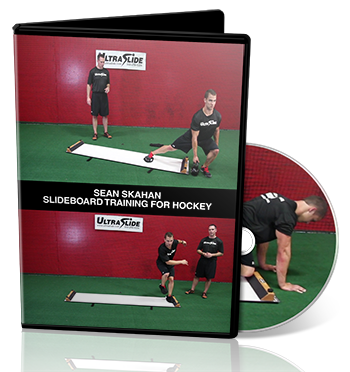 In this video, hockey strength and conditioning coach Sean Skahan provides exercise discussion, demonstration (including slow motion video) and progression or regression variations of each of the following drills. Core training is very complicated, but it can be made very simple with some very basic tenets to be aware of with your exercises of choice. Are you training for recovery? Speed? Maximum strength? Creating a super-stiff spine? They all have specific training methods, and common variables you can adjust on the fly to produce the results you want.